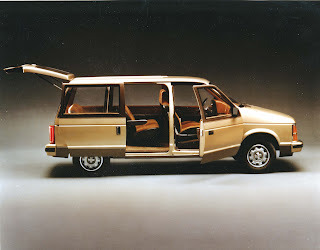 Chrysler had a huge hit on its hands when it introduced the Dodge Caravan and Plymouth Voyageur minivans in the fall of 1983. 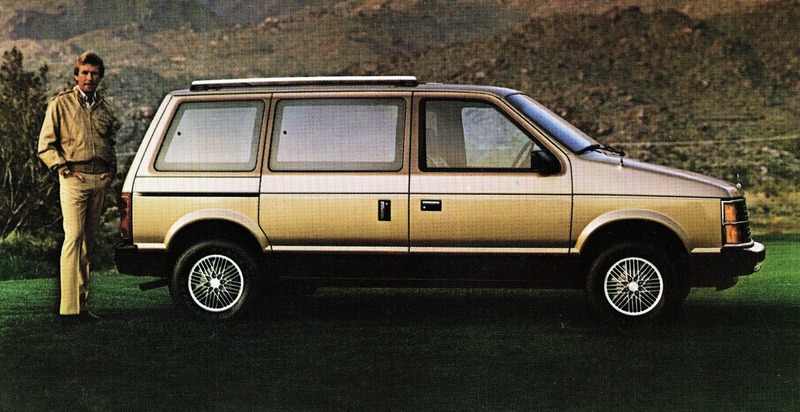 When Chrysler execs made the momentous decision to develop a “garageable van” in 1980 and market it to families they were pretty much standing on the beach, shooting at submarines in the dark of night. Not a one of them had any idea how well the idea would be received by the public. This was uncharted territory. When the plan was unveiled to Chrysler Canada workers in Windsor, they were highly skeptical. Three generations of Volkswagen buses are seen here, the 1980 version in the foreground. 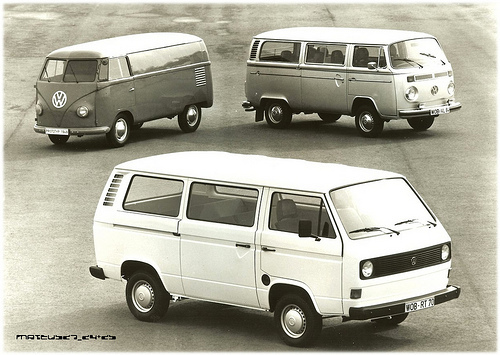 Volkswagen had a vaguely similar product on the market and while the VW Type 2 was well known to North American consumers, it was a marginal seller at best. 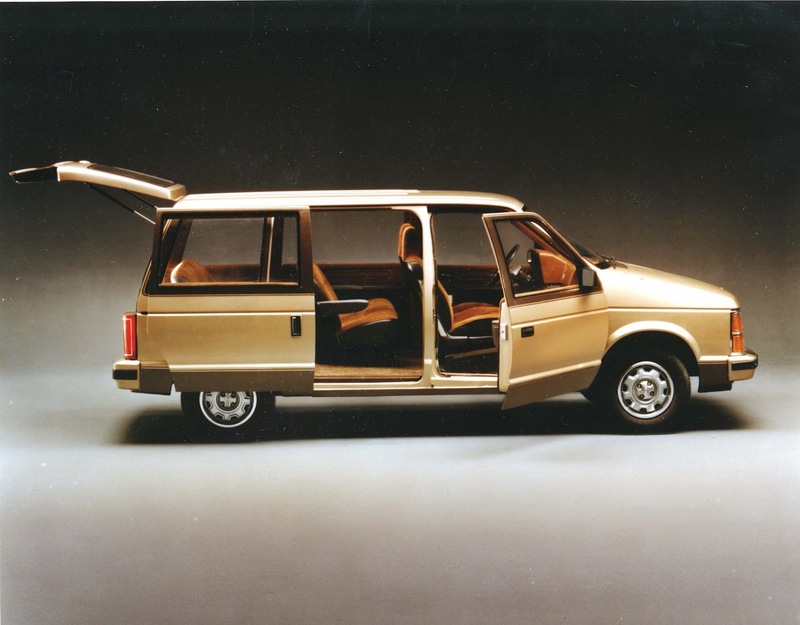 No sooner did the Dodge Caravan and Plymouth Voyageur hit the market than designers fueled the fires of desire with a Plymouth Voyageur Concept Vehicle. Chrysler Canada president Moe Closs braved a very cold, blustery day in March of 1982 to break ground for a new paint shop so that the old factory could be gutted, renovated and consecrated solely to the manufacture of this new vehicle. The last of the rear-wheel drive passenger cars was built on June 10, 1983 while crews ripped up the line behind it. Industry insiders openly taunted Chrysler saying the conversion could not be completed in 16 weeks. The soothsayers were dead wrong. The 304 800-square metre (1-million square foot) building sparkled on time and there were 24,000 cubic metres of scrap steel to be hauled away to prove the point. 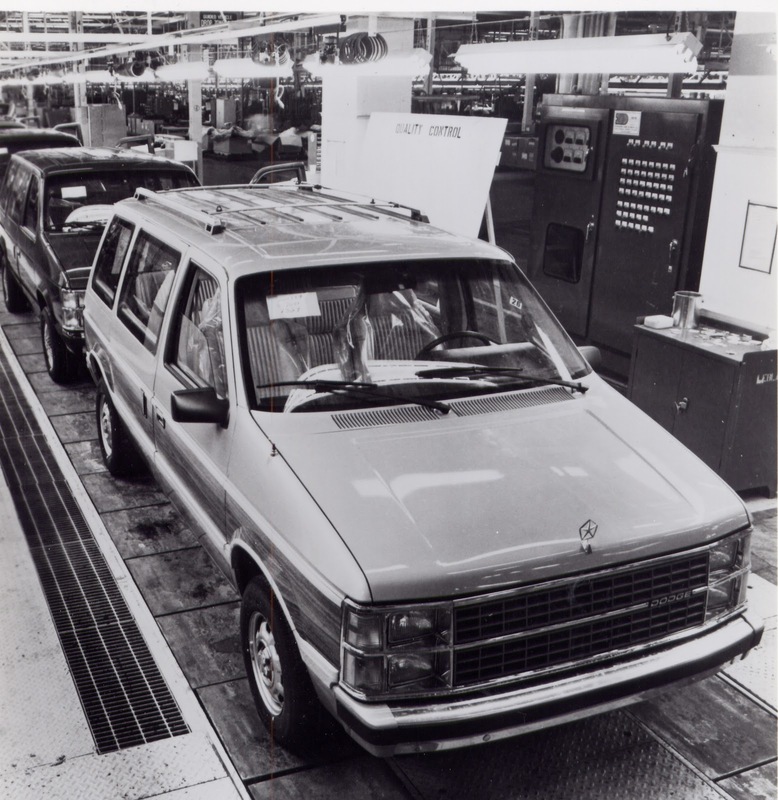 The very first Dodge Caravan leaves the line in Windsor, Ontario on November 2, 1983. Whether one called it the T-115, the Magic Wagon, the Dodge Ram Van, the Plymouth Voyageur or Dodge Caravan, the newest Chrysler baby was born on November 2, 1983. It was ingenious in design. The T-115 had enough seats for a private Grey Cup party. Absolutely cavernous inside and blessed with an exceptionally tight overhang, these beauties were easily manoeuverable. The step-in point was low, to the delight of women. 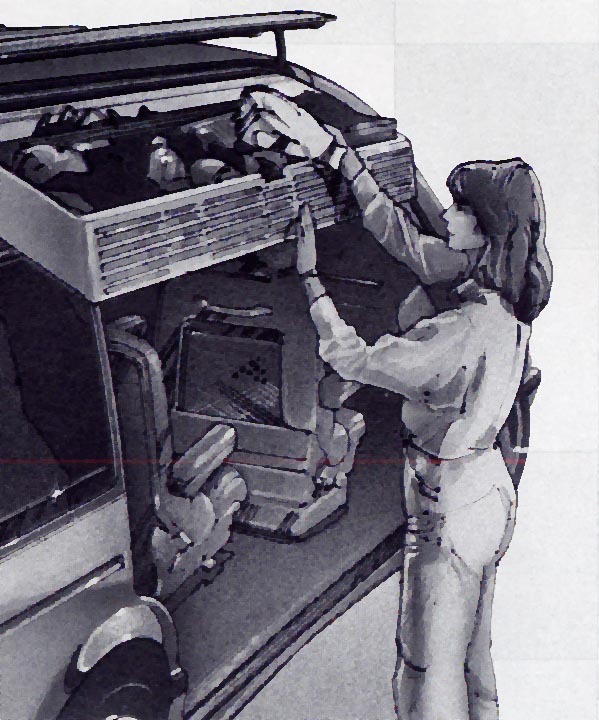 Despite its truck platform, it didn’t drive or ride like a traditional hauler. A T-115 was small enough to fit in virtually any existing garage. Because it made use of front-wheel drive, the floor was completely flat. Weaning customers from the traditional station wagon was a bold gamble but designers and engineers had created a package so delectable that it would practically sell itself. That was a good thing because the price tag for creating the T-115 was a very cool $700 million. The boys at Chrysler didn’t have to sit on pins and needles for long. Press reviews were highly favourable and so was the reaction from the public. The 1984 Dodge Ram Van. Sales were so hot a second shift was required almost immediately. A breakdown of sales revealed that an astonishing 67 percent of new Magic Van buyers in Canada traded in a competitor’s brand. Tom Pappert was Chrysler Canada’s VP of Sales. “This is the highest conquest sales rate ever reported for a Chrysler-built vehicle,” he bragged proudly. He also told the press that 23 percent of the people who came to look at the T-115s had never been in a Dodge or Plymouth dealership before. He could also share that the buyers were “younger, in a higher income bracket, better educated and more often married than in previous years.” This translated into a sweet symphony of cash for the company’s coffers. 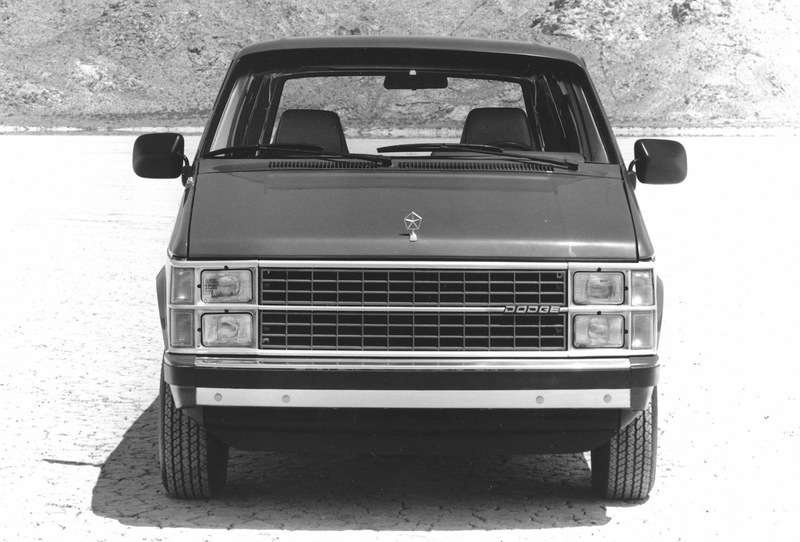 The 1984 Dodge Caravan was given clean but distinctive lines. Instrument panel was carefully planned. Dials were large with white numbers-on-black. Piloting the futuristic Plymouth Voyageur would be state-of-the-art as a live satellite feed would present road maps and information to the driver. 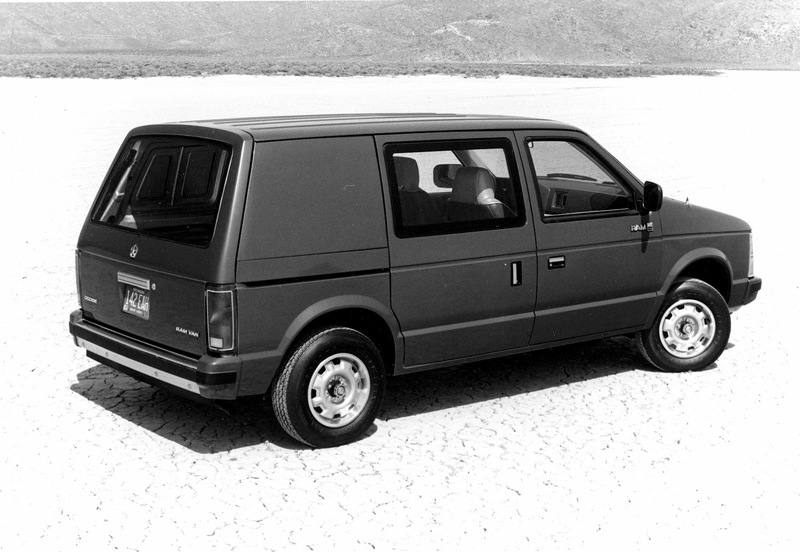 Not content to rest on its laurels, designers were immediately put to work to develop a Voyageur for the future. 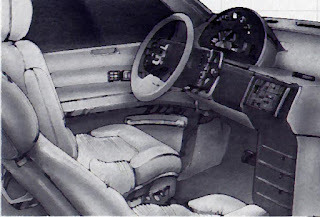 It bristled with innovations including a massive centre console in between the rear seats housing a television monitor that could be used as a personal computer, watching videos or playing video games. Overhead storage bins kept things neat and tidy while travelling. The front passenger’s seat swiveled around into a club car configuration for easy chatting with rear-seat passengers. A Modular Tailgate Convenience Package provided a trio of flip-up grocery bag holders or a picnic “shelf” complete with ice chest, wet sink, cutting board, cutlery storage and a paper towel dispenser. Another storage bin held a dust buster and an electric shaver along with DC outlets for electrical convenience. Clever airplane-type overhead bins keep clutter and fuss to a minimum in the Plymouth Voyageur Concept Vehicle. 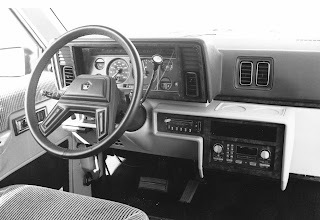 The Voyageur was fitted with a satellite navigation map unit built directly into the instrument panel. 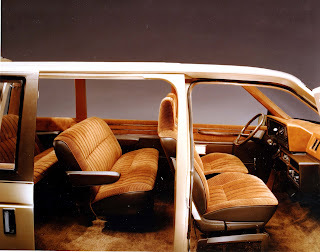 To gild the lily, the concept vehicle was decorated with soft leathers, natural fabrics and warm domestic carpeting to “speak quietly of home comforts” as one travelled in the Voyageur of the future on tomorrow’s roads. 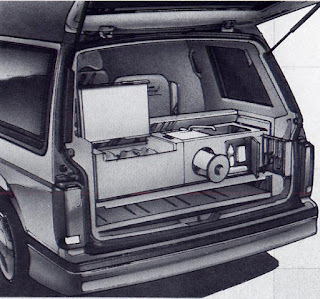 The Plymouth Voyageur Concept Vehicle included a Picnic Package with ice chest, a wet sink and places for cutlery and paper towels. With or without the Plymouth Voyageur Concept vehicle to spur the imagination, Chrysler had a huge hit on its hands and would continue to be an innovative market segment pioneer and sales leader for the next two decades and beyond.